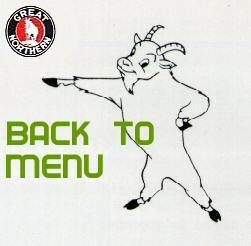 Thanks to Tom Garrett, GN fans can enjoy audio recordings on CD of actual Great Northern radio transmissions. 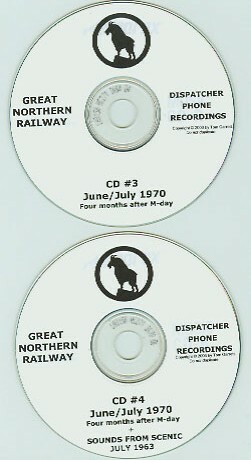 Tom is offering for sale a 4-CD set consisting of about five hours of GN Dispatcher Phone recordings from Scenic, WA. 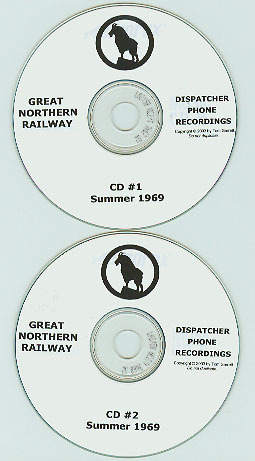 CD's #1 and #2 are of the GN during its final summer of 1969. CD's #3 and #4 are from June/July 1970, about four months after the merger, and are equally interesting. Also on CD #4: sound effects from the depot at Scenic from July 1963: passing trains, radio conversations, miscellaneous, recorded on a hi-fi tube tape deck. Today, the dispatcher communicates via radio with trainmen, but before the days of exotic radio links, there was the Dispatcher Phone, which was essentially a long-distance party line on which any railroad employee on the division could communicate with any other, similar to the telegraph. Train orders and routine business were given in this manner to the operators at the various depots. Trainmen would also stop and talk to the dispatcher when necessary. About 1967 the Great Northern installed a dispatcher radio link on the Cascade Division. Up until 1970, the range of this was only from Monroe to Cashmere, with numerous dead spots. For any other location, if the DS needed to contact a train in a hurry, he would have to call a station operator and have him relay a message via radio. The CD's come with a complete transcript (almost) and a map of the route.